Over the next few weeks, we’re going to look ahead at the new-look Central Division. The Blackhawks will keep a few familiar rivals and add some others as NHL realignment cuts the league into only four divisions. Today, we’ll start at the bottom of the division – at least alphabetically – with the Winnipeg Jets. Since moving from Atlanta to Winnipeg, the Jets had one of the more brutal travel schedules in the NHL. Last season, the Jets finished with 51 points (24-21-3), only four points out of the eighth and final playoff spot in the Eastern Conference. This year, the Jets will move to the Western Conference and the Central Division with the defending Stanley Cup Champion Blackhawks. Their captain, former Blackhawk Andrew Ladd, took another step forward as a player with 46 points (18 goals, 26 assists) in 48 games during the regular season. 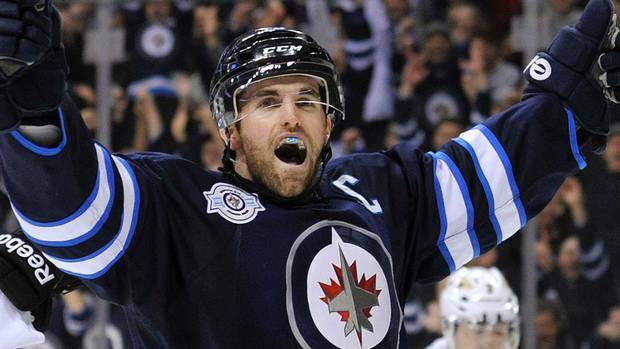 Ladd, Evander Kane (17 goals, 16 assists) and Blake Wheeler (19 goals, 22 assists) led an offense that was the definition of average; they tied the New York Rangers for 15th in the league at 2.62 goals per game. Bryan Little has emerged as the Jets’ top line center in the last couple years, and in 2013 he won 51.2 percent of his faceoffs and posting 32 points (seven goals, 25 assists) in 48 games. This summer, Little was one of three players rewarded with a significant new contract (five years, $23.5M). Also getting paid were Wheeler (six years, $33.6M) and Zach Bogosian (seven years, $36M). 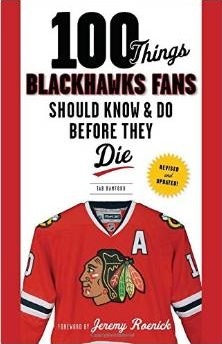 Blackhawks fans complained about Chicago’s ineffective powerplay last year, which ranked 19th overall during the regular season (16.7 percent). Winnipeg’s powerplay could serve as a nice self-esteem boost for Hawks fans; the Jets finished last year dead last in the NHL, scoring on only 13.8 percent of their advantages. Defensively, the Jets struggled last year. They allowed 2.94 goals per game, which tied Dallas for 24th in the NHL last season. And, at 79.7 percent, their penalty kill also ranked 24th in the league. They did, however, finish fourth in the NHL during the abbreviated 2013 season with 1,411 hits as a team, and their 713 blocked shots ranked 12th in the league. The Jets may look to a rookie for an impact on their blue line. Jacob Trouba, the ninth overall pick in 2012, is a physical 19-year-old who played just one year at the University of Michigan. That one season included a one-game suspension; Trouba wrecked Northern Michigan forward Reed Seckel in early November and was forced to sit a game. Trouba could replace 32-year-old Ron Hainsey, who finished third on the Jets averaging 22:51 in 47 contests last year and is still an in-signed unrestricted free agent. But the biggest improvement the Jets could feel on their blue line is just being healthy. Last season, Bogosian and Tobias Enstrom combined to miss 41 regular season games. 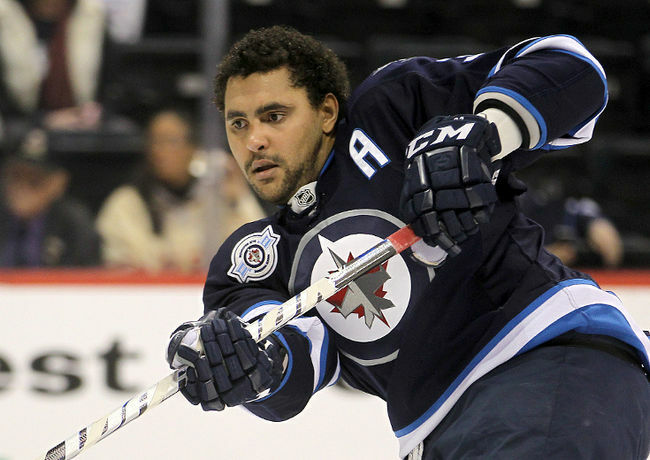 They could also use some consistency from Dustin Byfuglien, whose conditioning was a question throughout last season. If recent reports of a slimmer Byfuglien indicate he has a new commitment to being in shape, he could be a beast moving forward. During the offseason, the Jets had some significant player movement in an effort to deal with some of the flaws that were apparent last season. In an effort to improve their penalty kill, they traded for Michael Frolik. Trying to add scoring depth, they also added Devin Setoguchi. Interestingly, both Frolik and Setoguchi will come from significant roles with new division rivals in Chicago and Minnesota. Also added to the mix in Winnipeg will be veteran forwards Matt Halischuk and Andrew Gordon, and defenseman Adam Pardy. However, there were some major subtractions from the Jets’ roster as well. Centers Nik Antropov and Alex Burmistrov have both left town, both opting for deals in the KHL. Burmistrov made headlines when he threw Claude Noel and Olli Jokinen under the bus earlier in August. Antropov and Burmistrov combined to take 22 percent of the Jets’ total faceoffs last year, and the team did not add a significant piece at the center position. Behind Little and Jokinen, the team may have to look at youngster Mark Scheifele to win faceoffs for a team that ranked 22nd in the NHL at the dot last year (48.9 percent). Scheifele, 20, was the seventh overall pick in the 2011 Draft and posted 63 points in 47 games in the OHL last year. He has played in 11 NHL games with the Jets, but might be needed to fill a major role this year. Another forward prospect to keep an eye on is winger Adam Lowry, who was named the WHL Player of the Year after posting 88 points in 72 games with Swift Current. Lowry, 20, was the Jets’ third round pick in 2011 and is already listed at 6-5 and 201 pounds. He isn’t a great skater, and will need to work on that to make the NHL roster. The Jets have a good roster…they will push for a playoff spot IMO…this isn’t some weak link in the division…Cheveldayoff was taught well and has done a good job. Was planning on going to the Hawks v Jets game in Winnipeg on Nov 2, but getting tickets seems like a long shot now. I guess the only way to buy single game tickets is to enter a raffle for the chance to buy them. They draw the winners the last week of the month before the game so even if I do win I’ll only have a week notice. I checked stub hub and if the current prices are the norm I’ll be going to Minnesota to catch the Hawks again this year. If i’m missing something or if anyone has been to Winnipeg for a game and knows an easier way to get tickets let me know. I was really looking forward to going, but might start planning something else instead. I agree with Sr Brad. The Jets could push for a playoff spot in the new format and will undoubtedly benefit from less travel this season. Let’s also not discount the number of familiar faces on their roster as well. Yep……The Jets could be the sleepers of the division. If the can play well consistently, they have the talent to make some noise. I am thinking the Jets will give several teams in our division fits and they will knock someone out of a playoff spot. With all the dismantling that occured here after the 2010 Cup win, Andrew Ladd is the one that I wish we hadn’t let go…he’s always been a complete player, a leader and a winner…but we did and that’s that…however, the 2nd round pick that we got in that deal has turned out to Adam Clendening, and if there is one Hawk prospect, above all the rest (even TT) that I would say is the surest thing to become a top level Pro, its Clendening. He could become a stud DMan here and pave the way in 2 years time to comfortably say goodbye to a couple of current top 4 DMen. Right now we have Leddy, Clendening, Stanton, Dahlbeck, Johns, Holl, Paliotta and Dahlstrom all 2 to 3 years away from being NHL players…obviously Leddy is in the show now, but in a couple of years time with more strength, maturity and experience, Leddy should become a Top 4 DMan…Clendening will definitely be a top pairing guy…Johns is definitely a top 4 guy, and with some experience so will Stanton and Dahlstrom…so really we already have a COMPLETE replacement for our entire DCorp waiting within the organization…and imagine the savings in cap space with that transition! I like the make up of the Jets. They have a some nice pieces, and should contend. They will slot into the 7-9 range in the division, and will give someone a good run if they make the playoffs. You guys can think all you want. This team will not be in the playoffs. Are they awful? Not completely. But they have no goaltending, 2 dmen max, and average scoring. Say what you want but this team is no good. Anyone that wants to wager on them playing in the post season will be handing away money. Nobody is worried about the jets. continuously not good enough in the old east which was far less deep than the west. They ain’t on anybody’s radar, definitely not the Hawks. Oh and the travel thing is overrated. I watched Vancouver win a presidents trophy and the west traveling more than anyone. It comes down to who is on the ice for you, and while they have some worthwhile players, I do not think they have enough to contend for anything besides a 8 seed, which if the last 4 years or so tell us anything, they will come up short. Sorry Evander Kane is a gamer when he shows up and is a fantasy hockey force bc he shoots a ton each game. I don’t like that Detroit has moved out of the division but I do like that Winnipeg and Minnesota (re)joined. It will be nice to see more of the old Hawks – Ladd, Buf and Fro.